Before I begin there are two things you should know about me; first, I am a Fast and the Furious fan boy and second, I have played almost all of the Need For Speed games dating back to Sega Saturn. With that being said, I was a bit apprehensive about seeing another game turned movie; especially one that was entering an already well established racing culture set by Fast and the Furious. Another big part adding to my apprehensiveness, was the fact I was pretty unfamiliar with a majority of the actors in such a huge franchise other than Michael Keaton (Monarch), Aaron Paul, who plays the main character Toby Marshall. As for Scott Mescudi a.k.a. Kid Cudi, and the rest of the cast, they have a little less of a resume. All of the actors did very well with their roles, but Arron Paul did a spectacular job as the lead character. With a movie of this magnitude, I figured it would be a huge risk to bring in relatively unknown actors to such a huge game franchise, but I have been wrong before and this was definitely one of those times. 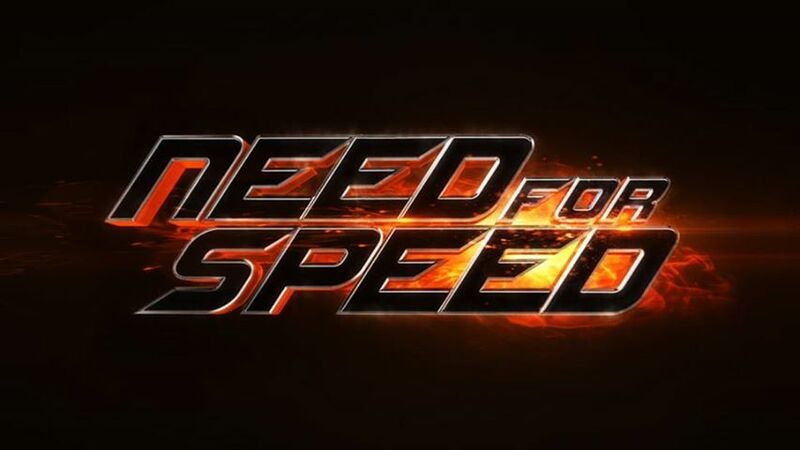 For anyone not familiar with the highly successful Need For Speed franchise, per Variety, Need For Speed has sold over 140 Million units worldwide, those are a lot of games! The game focuses on high-speed octane racing mixed with police chases and very customizable cars. Each game has its own unique style and story, but the main focus has always been the same. Needless to say, I didn’t expect this movie to be so well written and directed. I heard the commentaries from the cast prior to starting the movie and they pumped it up so much, I had doubts on how good it would be. From prior experiences, movies that are pumped as much as this one always fall short of my expectations. This movie was the exception to the rule. It has the speed, the chases, the great scenes that make you jump, and keeps you rooting for the protagonist. Along with all the action there was the occasional heart felt, eye watering moments coupled in with some pretty classic comedic scenes which kept me engaged. One thing that I admire about Director Scott Waugh, is that he stuck to the old school concept of not using CG (computer graphics) in the high action scenes. One of the cars that was actually driven in the film is the Bugatti Veryon Super Sport; which retails at roughly 2.7 million dollars for a base model! And they raced it! Although the crash scenes uses very detailed replicas of the cars, the point is, they DROVE these cars to keep the authenticity of the film. I for one expected a movie full of CG considering its based on a game, but the director was able to bring a sense of realism not only to the characters but also the story. It was refreshing to see a movie that didn’t have to use CG as it’s selling point. It’s not easy to review a movie without pumping up everyones expectations, but it does comfort me in knowing I’m not the only who enjoyed it. Here’s a quote I received from a colleague of mine who also saw the movie and has written many great reviews here on Review Junkies. Overall, upon exiting the screening for Need For Speed it took me back to when the original Fast And The Furious hit the scene; I remember stepping out of the movie theater and hearing all the engines roaring and tires burning as if everyone just lived the movie. What a pleasant feeling there is in knowing we now have another potentially great franchise at our hands to re-amp the car racing scene.